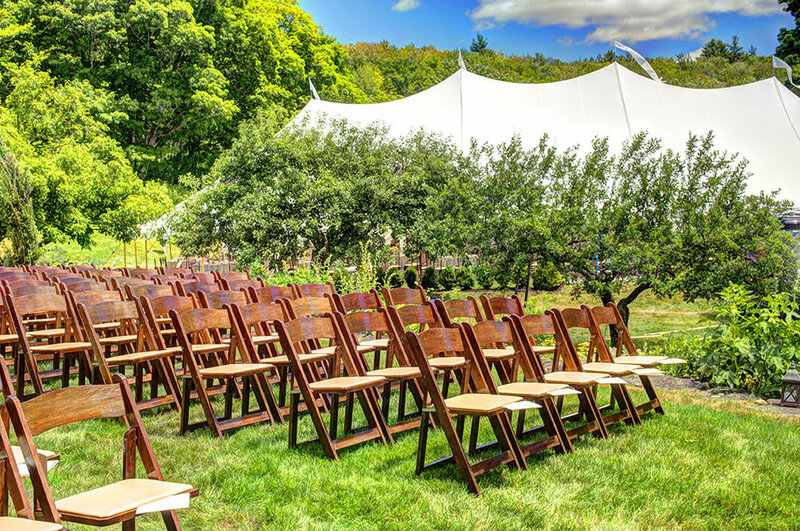 Event in Central Vermont that was planned by Storied Events, and a production team of Birds of a Flower, Lets Pretend Catering and Rain or Shine Tent. Our Sailcloth tent with our new wood floor. Custom light fixtures fabricated by Rain or Shine and enhanced by Birds of a Flower. photo credits- Jack Rowell.